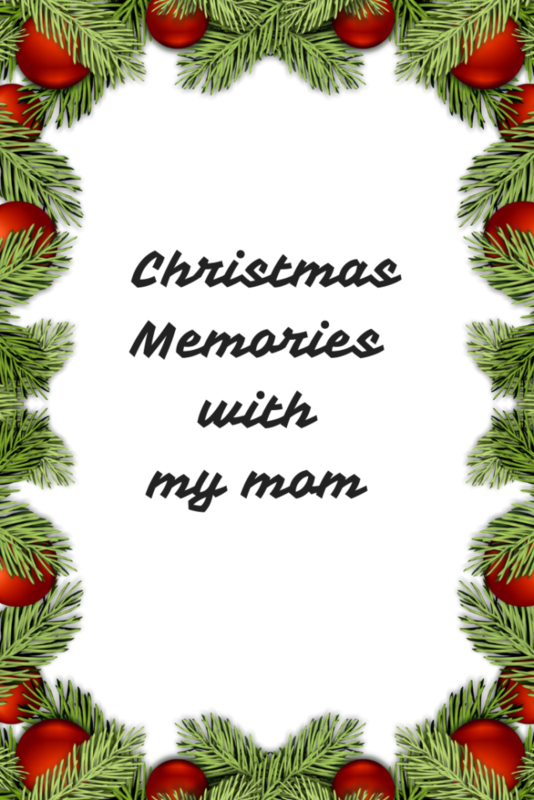 I am thankful I have so many wonderful Christmas memories with my mom. My mom spent her last Christmas (2012) in a hospital bed surrounded by her family and we tried to make the best of it. 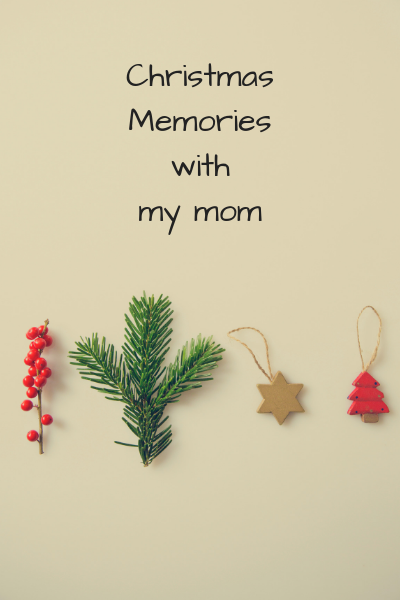 We had a small Christmas tree decorated on her dresser and we brought all her gifts to her room that morning. When I think about that day, I feel so much pain and sadness. I watched her open all her gifts for the last time. I will always remember how she took so much time to read the card from her grandchildren. To me it was as though she knew it was her last Christmas with all of us. Because of everything that happened, I have an appreciation for the holidays I spent with her in 2010 and 2011. Today I am sharing my memories from 2010 when I spent two weeks at my parents’ house while recovering from surgery. It just so happened to be around Christmas, so the house was decorated, and we were planning our Christmas menu because we had a lot of family visiting that year. I had a lot of pain and discomfort from my surgery, but my parents always offered help in any way they could. The only TV in any of the bedrooms was the master bedroom, which they happily gave up for me. Because I needed assistance getting in and out of bed, I always had to call them during the night for help. It reminded me when I was a little girl and needed them during the night, I was always afraid to yell out for them. I would count to 3 in my head and then try to call my mom. I say try because sometimes I would be counting to 3 several times until I was able to do it. And just like back then, I had to call several times before they heard me. One evening me and my mom were sitting on the sofa trying to decide what to watch on TV that night. She took out all the holiday movies she had in her collection. We decided to watch “White Christmas.” It’s one of my favorites and it was hers too. I remember telling her that if I ever hit the lottery, I wanted to open a replica version of “Columbia Inn.” I just fell in love with that whole movie set. My mom laughed and agreed that it was very charming. I remember that night like it was yesterday. The Christmas tree lights cast a dim shadow in the entire living room. She was on the sofa and I had moved to the loveseat. She made us a cup of hot tea (as she did every night) and offered me a snack. My dad would pop in to get his snack and make his way back to the family room to watch his TV shows. My mom would always have tons of pillows and throw blankets to make yourself comfortable. Although there was nothing special about that night, I often think back on it now with a full heart. 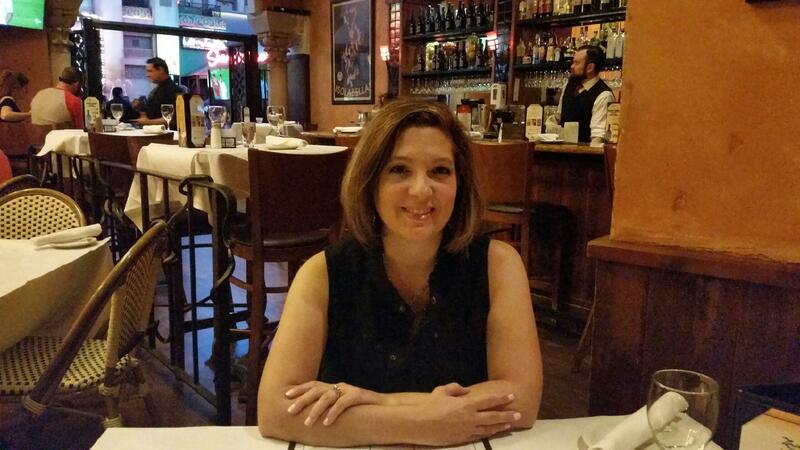 It was really one of the last few times that were normal until my mom’s cancer diagnosis.